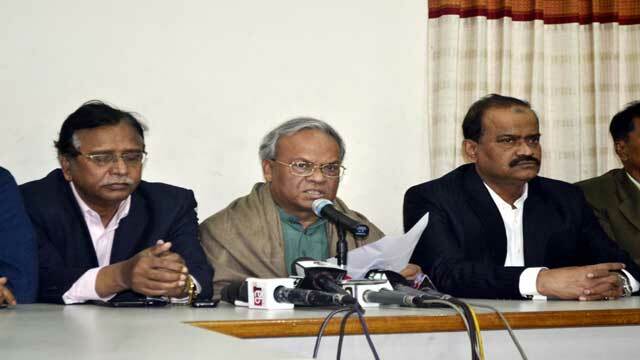 Dhaka, Jan 4 (Just News): Bangladesh Nationalist Party (BNP) on Thursday alleged that the government is trying to push politics towards confrontation by buying time in giving permission to their party to hold its scheduled rally in the city on Friday. "Awami League leaders' remarks have given an impression that they're trying to create a chaotic situation in a planned way by spreading propaganda against our peaceful rally. They're trying to take politics towards confrontation," said BNP senior joint secretary general Ruhul Kabir Rizvi. Speaking at a press conference at the party's Naya Paltan central office, he also alleged that law enforcers have started harassing and arresting BNP leaders and activities across the country, including the capital, at the behest of the government. The BNP leader said their party is determined to hold the rally in front of their central office on Friday. "Our Dhaka south and north units and different associate bodies have already taken adequate preparations to hold the rally." He urged the authorities concerned to give permission immediately to hold the rally. Rizvi called upon the leaders and activists of BNP and its associate bodies to make the rally in the capital and the countrywide black flag processions a success. On Monday, BNP announced to hold a rally at Suhrawardy Udyan in the city and bring out black flag processions across the country on 5 January to observe the day as 'Democracy Killing Day' to register its protest against 10th parliamentary polls held on that day in 2014. However, the party sought a fresh permission from the police and South City Corporation authorities on Wednesday for holding the programme at Naya Paltan as an Islamic party was allowed to hold a rally at Suhrawardy Udyan the same day. Rizvi said the government has made a mockery with democracy and people by allowing a less known organisation to hold a programme at Suhrawardy Udyan denying permission to BNP. "We still hope the government will allow us to stage the rally in front of our Naya Paltan central office." Reacting to Awami League general secretary Obaidul Quader's comment that its police, not the government, give permission for a rally, he said people know it very well that police cannot do anything without the government's instruction. "But, the ruling party can hold rallies and meetings anytime, anywhere without police permission," he added.